It is a matter of great satisfaction to us at Don Bosco University that all visitors to the University Campuses go away tremendously impressed by the cleanliness of the campus, the greenery, the gardens and the plantations in these campuses. They stand amazed when they come to know that the Campuses are being maintained and looked after meticulously by a small group of committed men and women who exhibit an enviable sense of ownership and pride in doing their work and playing their role. It is again a matter of satisfaction to us when our own students imbibe this spirit and replicate the scenario and the practices in their own villages and houses. One of the advantages of establishing a University ‘de novo’ is that eco-consciousness that has gripped the mind of the global community can be built into every aspect of the University as it takes shape. This is precisely the case with Don Bosco University. Some of the salient features, campus-wise, are given below. The university switched over to LCD lights wherever possible right from the inception of the university. The University has entrusted the Departments of Electrical and Electronics Engineering with conducting an ‘Energy Audit’. Their findings and the implementation of their suggestions are expected to be completed in two to three months’ time. The University has installed a solar lighting scheme for its campus lighting. The University has outsourced the disposal of bio-degradable waste to an agency that manages a farm close to the campus. 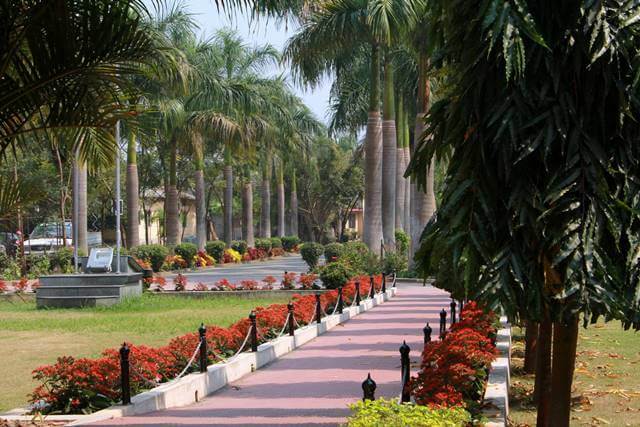 The entire campus is tastefully planted with shady and decorative trees, covered with extensive and beautifully maintained lawns, with shelters for birds and bird-feeders. A dedicated set of maintenance staff look after the campus (indoors and outdoors) with a sense of ownership, pride and dedication – something that is commented upon by everyone visiting the campus. Every available bit of space is used for kitchen gardens, producing a sizeable amount of fresh vegetables and fruits for use in the University – bananas, bitter gourd, pumpkins, baby corn, carrots, beet root, tapioca, salad leaves, curry leaves, lemon, guavas, sage, mint etc. An innovative idea has been the use of a part of the terrace for cultivating vegetables and fruits, lovingly tended to and maintained by the maintenance staff. The Campus is not dependent on the city water supply system – it has its own bore wells for water for the campus community. Being close to the Brahmaputra river, the supply from the wells are plentiful. Arrangements have been made throughout the campus to supply purified and filtered water. The terraces of the buildings have been designed for water harvesting – to be made operational when necessary. The maintenance of the computer labs of the University has been outsourced to M/S Hue Services who also take care of the disposal of e-Waste. The University is setting up a 2 Mega Watt grid-interactive Solar Plant with the help of M/S NEEPCO (North East Electrical Power Company) primarily for meeting the energy needs of the University Campus and to feed the surplus to the national grid as a source of income for the University. This project is being set up with the help of CSR commitments from some corporations and donations from some Foundations. This project is expected to meet the energy requirements of the University for some years to come. Before the starting of classes at the Tapesia Campus in July 2015, plans are afoot also to have a Bio-Gas plant to turn the enormous amount of green matter available there to energy for cooking or lighting. An experimental feature to minimize the use of air-conditioning is built into the design of the first Academic Block coming up at the Campus, an imitation of a German model using underground air tunnels connected to air flow ducts in the building. If found to be beneficial, this model will be replicated all through the campus. The entire campus will be using the latest energy-efficient LED light fittings. Energy consumption on street lighting will be rationalized by the erection of High Mast models at judiciously selected locations. Solar energy will be used for this to the maximum. The residential and academic buildings being constructed at the Campus have been designed for water harvesting which will be mainly used for replenishing the water table through scientifically designed drains and pits. 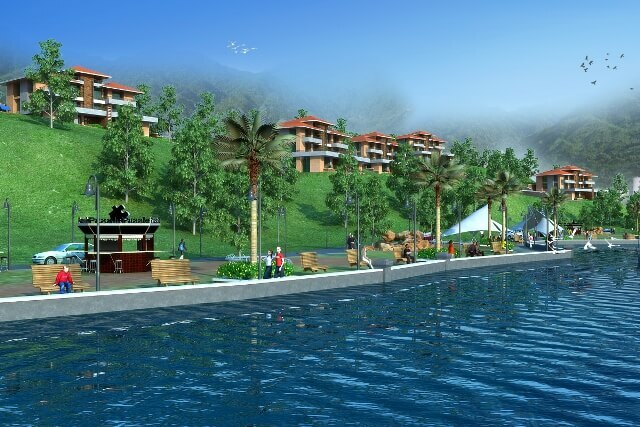 Two lakes are planned for the campus (one is ready and the other is under construction) using the abundance of streams available in the Campus which should be more than sufficient for the resident University community. The campus will not be dependent on the city water supply. Running streams and fountains will be a motif running right through the University Campus. One check dam has been constructed on the campus and another is under construction. Studies are also being done to look into possibility of micro-hydel power plants using these dams. MOUs have been signed with 5 National Boards (Coffee, Rubber, Coconut, Cashewnut, Tea) for demonstration plantations of 4 hectares each to serve the following purposes: demonstration of model plantation, seed and sapling production, extension work in the neighbouring villages, research on hybridization, mass multiplication and pest resistance in the university departments etc. Two plantations have already been established. The rest are under various stages of completion. With the extensive presence of Don Bosco institutions in North-East India, this model is going to be replicated in these institutions as well in the villages surrounding these institutions thus setting in motion a massive plantation effort in North East India. All the National Boards have seen value in this collaboration with Don Bosco University and are actively supporting the scheme. The campus has a tea planation covering 165 acres which has been systematically turned organic over the last three years. The management of the garden has been outsourced to M/S Peekochai Tea Company as a source of income for the University as well as to develop it into a model tea garden in all aspects – organic tea production, conscientious attention given to the welfare of the employees, extension work in the villages to encourage small tea plantations. A survey has already been conducted of 42 villages around the campus by the students and staff of the Social Work Department and major initiatives are being planned for the participatory development of these villages. The campus already has an orange grove of 1000 trees, and hundreds of mango trees and pomelo trees. More fruit trees will be planted as soon as the departments move over to the campus in July 2015. In the next developmental cluster planned for the University at Tapesia, prime place will be given for the following departments will be set in place: Biotechnology, Food Processing Technology, and Tea Technology.